Obedient 2 His Command: WHY REECE'S RAINBOW??? 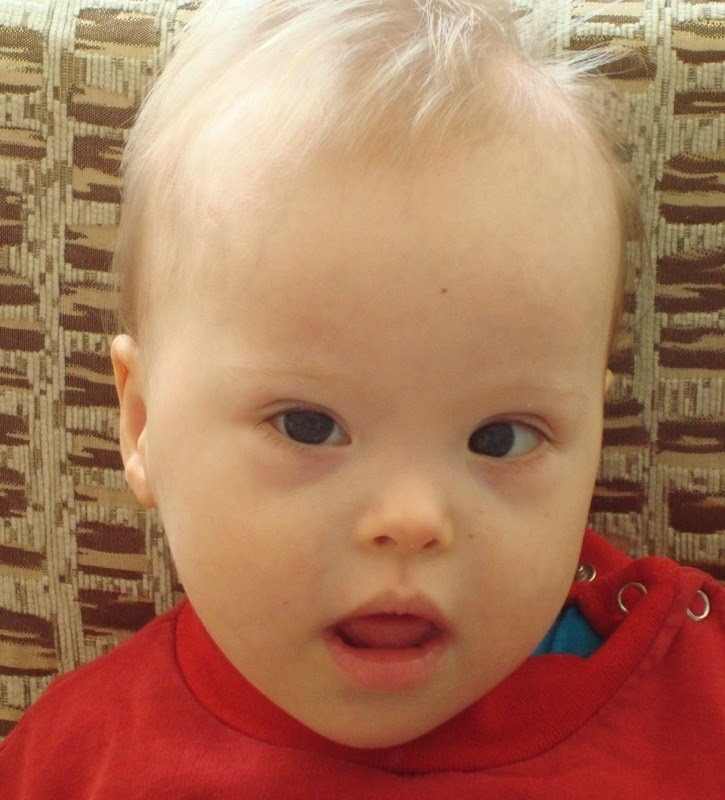 Ever since David and I adopted Silas, any and everything that has to do with Down syndrome will prick our ears. And, our eyes have been wide open to our “new normal” ever since. Therefore, it was only natural that in February 2010 my curiosity was piqued when I read a “Heroes Among Us” article in People Magazine about a woman who has made it her mission to save orphans born with Down syndrome (Ds). As I read the article, I found myself in tears because I could certainly identify with her heart. I identified with the intense love she has for her son, Reece, who was born with Ds because that it is the same intense love I have for Silas. I identified with her intense passion for the children born with Ds who are abandoned by their parents because of the stigma the world has placed on Ds. When I showed David the article, he just stood there amazed. We knew that we needed to find out more: more about Andrea Roberts and more about Reece’s Rainbow. Click HERE for the 2010 People Magazine article. You see, David and I had just started talking about adopting another child with Down syndrome a few weeks earlier. And, most importantly, we had begun praying that God would point us in the right direction as to where He would be leading us in regards to adopting again. With a “magazine sign” in hand, I visited the Reece’s Rainbow (RR) website for the first time a few days later. I was on the RR site for over three hours combing through every inch. I loved reading how Andrea came about launching Reece’s Rainbow from an outreach program dedicated to serving new families of children born with Ds at a hospital in Atlanta, GA to its expansion in 2006 to include the promotion of the international adoption of orphans born with Down syndrome and other special needs. Please click HERE for the 2012 People Magazine story update. 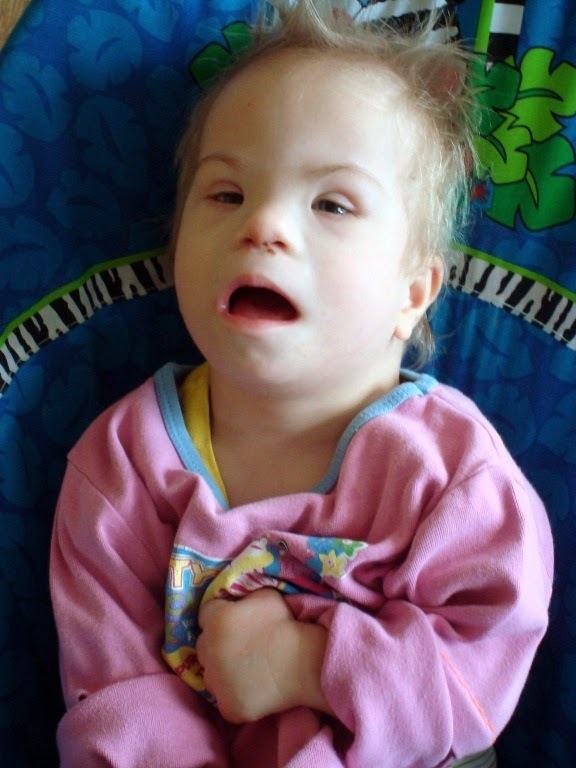 I completely identified with the words she wrote about her son, Reece, being “the one constant…the beauty and innocence that a child with Down syndrome brings to the world is truly one of Divine nature. God has led me through some very difficult times, but waiting on the other side of that “rainbow” for me was enlightenment, empowerment, compassion, mercy, and a tremendous “calling” to reach out to other children like Reece who were not as fortunate as he to have a loving, supportive family to grow up in.” That one statement impacted me in so many ways and it allowed God to show us the ministry He had planned for our family. Please click HERE to read more about the background of RR and why it exists. Ultimately, we learned that Andrea was the Winner of the 2010 People Magazine's Reader's Choice Hero of the Year Award. 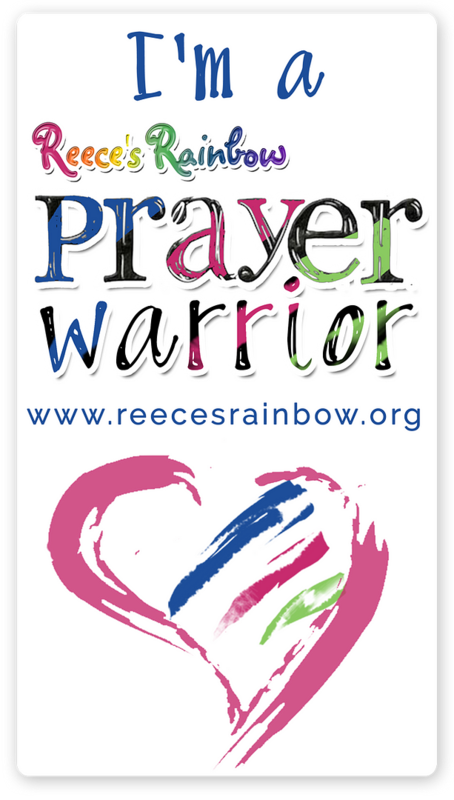 And, to make a long story short, David and I finally reached out to Andrea and Reece’s Rainbow in November of 2010 after several long months of prayer, discussion, pastoral advice, being grounded in the Word of God, and seeking ultimate discernment from God. 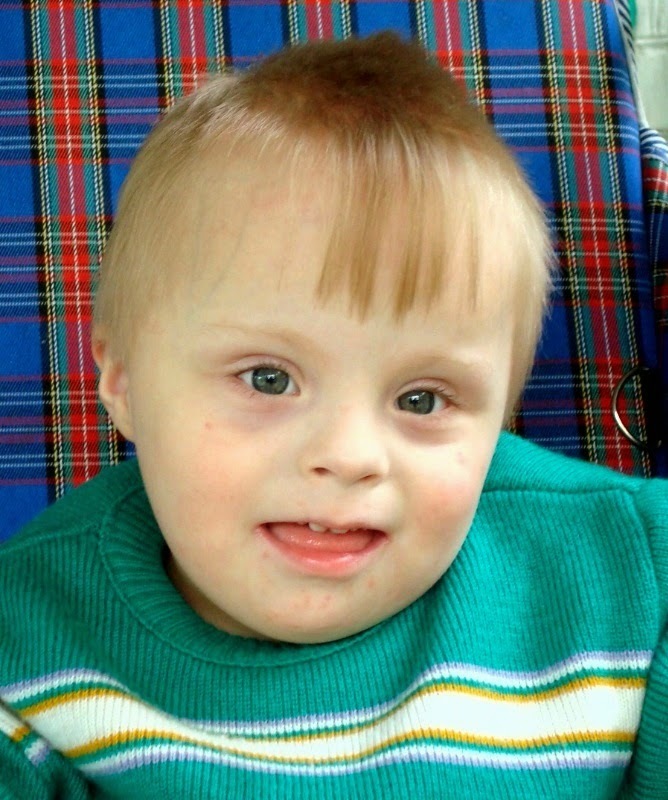 Finally, we knew we had a clear calling from God to partner with RR in order to adopt more children with Down syndrome. It just so happened that before time began, God had already planned for three beautiful Ukrainian orphans to find their forever family at the end of Reece’s Rainbow. And, after that initial contact with Andrea and RR, we KNEW BEYOND A SHADOW OF A DOUBT that God had amazingly and beautifully placed RR at our feet in order to make Teague, Trenton, and Maclayne ORPHANS NO MORE. For that, we will forever praise God and Andrea Roberts will remain a HERO to our family. 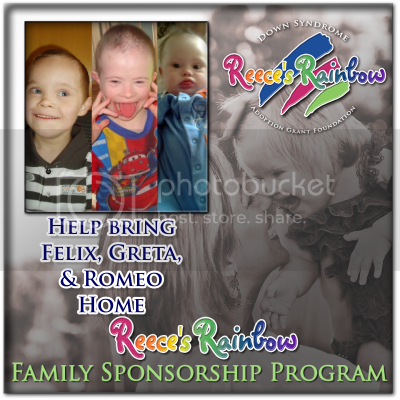 Now, it brings me to the very reason we are choosing to partner with Reece’s Rainbow once again to bring Felix and another child (sorry, details will follow on this bombshell in a few days…) home from Eastern Europe. Again, we know BEYOND A SHADOW OF A DOUBT that God is using RR to fulfill His calling in our lives and ministry to make two more precious children with Down syndrome ORPHANS NO MORE by growing our family. The RR stateside and in-country adoption facilitation team is amazing and we could not ask for a better group of people to team up with. We are blessed beyond measure and cannot wait until we land on US soil with the two newest Barnett’s!! Two more ORPHANS NO MORE and two more children who have found their families at the end of Reece’s Rainbow! 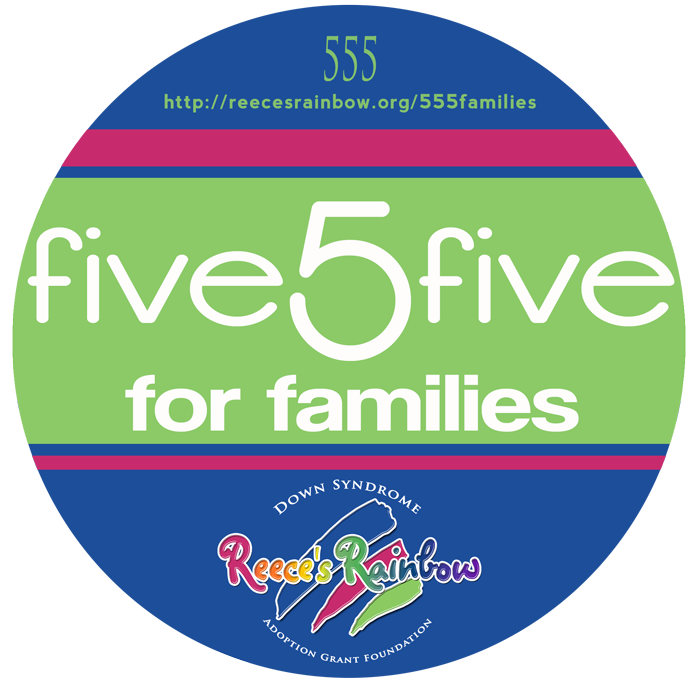 For more information about Reece’s Rainbow, please click HERE for the link to the RR website. Even if you are not called to adopt and/or are not in a position to adopt, you will still benefit from finding out about this wonderful special needs adoption ministry. There are many colors of support for RR: praying for RR, sharing about RR, financially supporting RR through a one-time or recurring gift, and advocating for the many orphans on their website "because every family deserves the blessing of a child with Down syndrome...". Also, please feel free to contact the team at RR if you have questions or would like to know more. You can also contact me about RR ~ I’d be more than happy to share more about our adoption experience with RR. Great blog post! Can't wait to see who you're adding!